Find the perfect Garland Property by Location. We are glad you found us. Now, let us help you find the perfect apartment in the perfect location. Use the map below to help narrow your search. Then, if you would like to learn more about a property or are ready to apply, simply contact us. Garland managers are happy and eager to help. 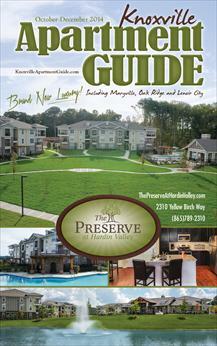 Proudly partnering with the Knoxville Apartment Guide. Find these and other great rental properties at area retailers were newspapers are sold or distributed.